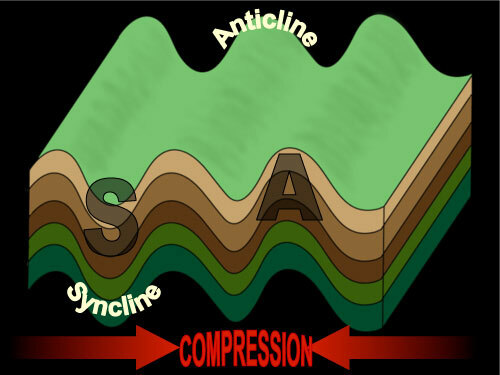 An anticline is an arch-shaped fold in rock strata, closing upwards. Unless the formation has been overturned, the oldest rocks are found in the center with younger rocks located symmetrically on each side of it. A syncline, by contrast, is a downward fold, so that the rocks are folded into a trough-like form. The sides of the syncline are called limbs, and the median line between the limbs along the trough is known as the axis of the fold.